I consent to my information being collected and agree to the privacy terms. I help men and women who lack to the structure and accountability to stay on track to achieve their goals of fat loss and muscle gain. I work with people to help them build long term sustainable nutrition, workout and mindset habits and take steps towards an achievable and healthy lifestyle. Teaching you the skills required to keep you on track. I will teach you the skills you need to get in the best shape of your life, all within a private fully equiped training studio or online. Online coaching will provide you with the freedom to work out when you desire but the support and guidance to achieve your goals. Avoid the scheduling conflicts and workout out when you have the time, in any environment you have. The gym, local park or living room floor there really are no excuses. Knowing a professional trainer has personally designed you a workout and nutritional strategy puts your mind at ease to get the job done. With continued support and analysis, you will be accountable and strive for results week after week. With the latest online systems and membership login details it will feel like having a personal trainer in your pocket at all times. An affordable and convenient approach to personal training, helping the average Joe reach a new level of awesome! I'm the brains, brawn and beauty behind DackAttack (basically it's just me). 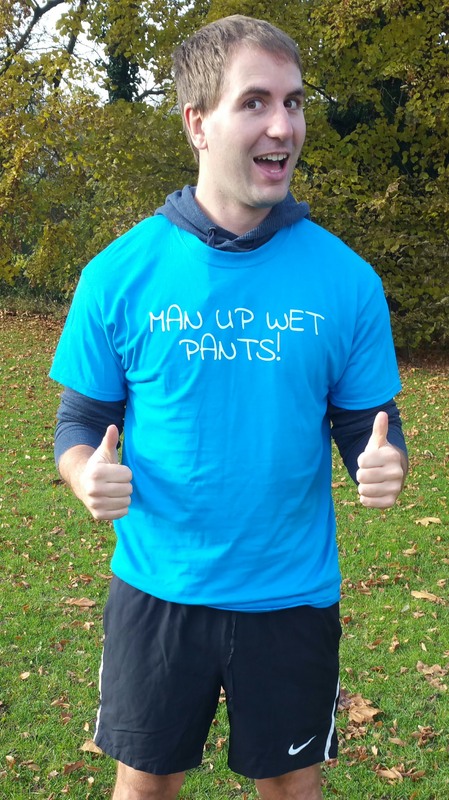 I am a qualified Level 3 personal trainer, with a passion for helping people. My ethos is to give the average Joe a better chance at gaining a physique and lifestyle they deserve. I will do this by providing actionable knowledge to guide and inform you decision. I like to keep it simple, informative but with a light hearted twist. My whole lifestyle is different, and I feel better in my clothes. Having dropped several shirt sizes and two jean sizes, my attitude to life in general is a happier one and I am looking forward to the next stage in this process. 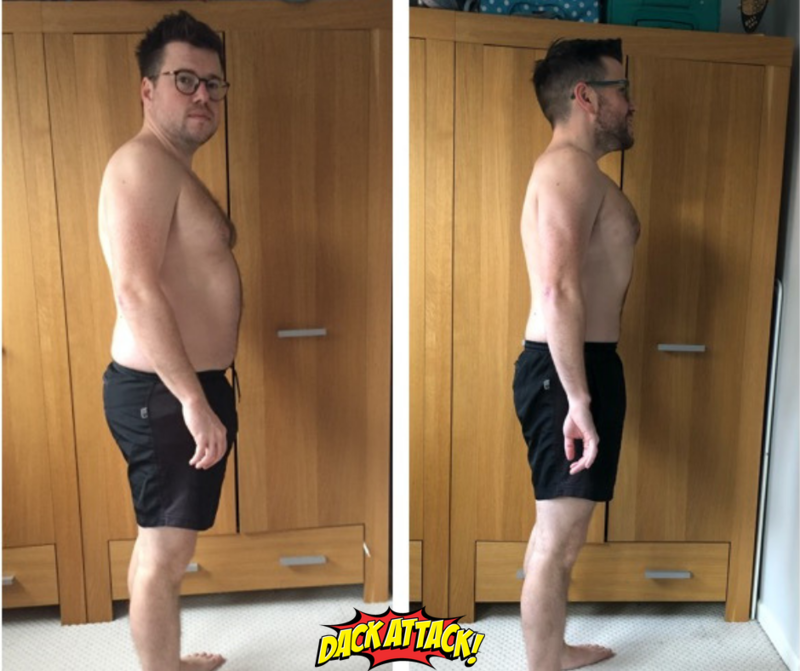 13kg down and 7 inches lost of Jamie's waist! I helped Sarah understand the importance of weight training and she has proven to all the girls out there who believe weights make you 'bulky'. Sarah has a very mindful nutirition approach allowing her a more flexible approach at weekends. By creating enjoyable and diverse workouts Sarah now enjoys training on regular basis and no longer sees it as a chore. Thanks to the hard work of Dackattack, I have never felt better! I’m now stronger and fitter than I have ever been. I’m also convinced I’m taller too. This has been an incredible transformation process to be involved with. 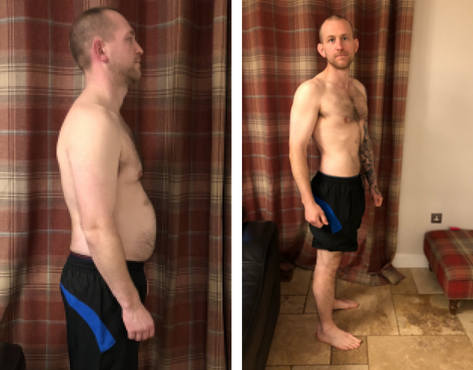 The photos taken were the result of a year long process and has seen Sean drop a huge 26 lbs! The biggest transformation has been Sean's mindset and attitude towards training and nutrition. 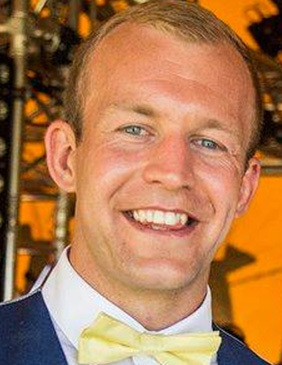 Matt (1 on 1 personal training) - "I've been having a weekly 121 with Chris Dack and using his program now for nearly 3 months to get ready for the new rugby season. The results are already plain to see. My fitness has improved and strength increased while at the same time I have lost some weight and toned up." "The results are already plain to see"